Family Child Care (FCC) offers small, multi-age group care in a nurturing home environment and a variety of home-care options for children ages 6 weeks to 12 years. Parents are given the opportunity to choose their child's FCC provider through an interview process. In-home care allows siblings to be cared for together. FCC is a cost-effective child care delivery system which allows provision of child care without large-expenditure facilities. FCC reduces the burden on center-based programs by providing 24-hour and long-term care during mobilization and training exercises. FCC providers receive the same competency-based training as the CDC CYPAs. 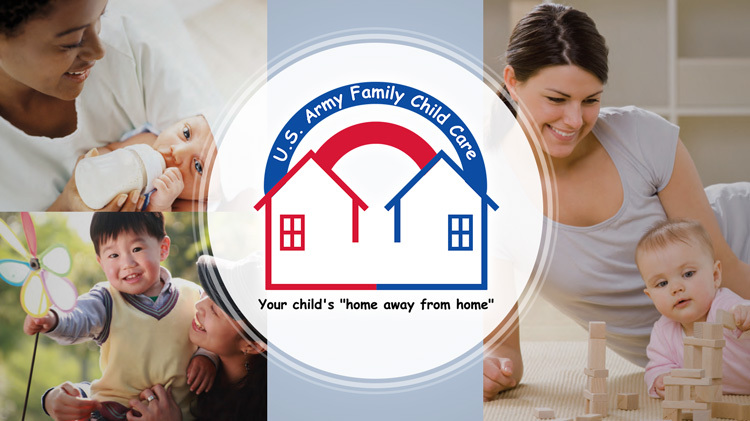 Both the provider and the FCC home are certified by CYS before children may be enrolled for care. All homes undergo periodic inspections by the following agencies: Signal Branch Safety Office, Fire Prevention and Preventive Medicine.